Those of us who live in Marana are pretty excited about this! Bring your friends and family and participate in all that Marana's Pumpkin Patch has to offer. As Arizona temperatures cool down, an afternoon spent at the pumpkin patch will be a great end to the summer. Choose from over 15,000 pumpkins! Entrance to pumpkin patch and Farm Festival is $4. 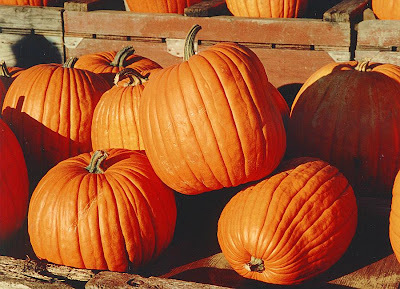 Pumpkins cost 45¢ per pound. An exciting journey for all ages! We have miniature donkeys, miniature horses, goats and more! Socialize with 20-30 other people while you jump on this inflatable pillow! Bring on the fun and join us in playing festival games! Vendors selling grilled hot dogs, hamburgers and homemade mexican food. Take a tractor ride through the farm and experience all the excitement around you. A child's favorite play area! A maze unlike any other! Admission is $2. There are 8 cars and they fit a family of 8.